If I had a glass ball that could see what the future holds for our industry, I would share that information with you. But as Dean Acheson said: “The best thing about the future is it comes one day at a time.” That being the case, every single day is vital and important. Do not sit around and wait to see what the future has in store for you. Get off your derriere and attend the Medtrade Spring in Las Vegas (3/10-3/12). This is where your future lies, and you have to be there to obtain the many benefits offered. Hanging over the industry is still the “competitive bid”, and now there is some other new rather destructive legislation. At Medtrade, AAHomecare will be in the forefront and leading the efforts to bring about the necessary changes. You MUST be there to help them accomplish this. General Dwight Eisenhower alone could not win WW2; he needed every soldier to accomplish that. He won the war because of the great support of every citizen. Let us do the same for AAHomecare's President, Tom Ryan. With the support of all DME/HME providers, it will happen. You will bring about the changes and secure the future of your company. AAH has the support of every state association and they, too, are with whom you must join. There is so much more that will happen in Las Vegas, but I realize that unless, as an industry, we bring about the changes in current and pending legislation, too many may be forced to close their doors. I do not like to sound negative. I am positive you can help bring about these changes. You have to become dues paying members by participating with Tom Ryan and the state associations. In union there is strength, and if you do not join I am afraid that can be a fatal mistake. Medtrade Spring has the answers, but your getting on board now will make a big difference. I look forward to greeting many new and old friends in Las Vegas. There is where we will protect our future, won’t we? I will see you on the showroom floor. Our industry is so fortunate to have leaders of high caliber. I receive copies of many of the e-mails sent to members of the state associations. I also get the memos AAHomecare sends - We have the best leaders available. If all HME/DME providers join in our battle, we will double membership in our associations. We must do this to defeat much of the destructive legislation that threatens reimbursements. We can do that! Many years ago, Diogenes said: "We have two ears and only one tongue so that we would listen more and talk less.” Please pay close attention to your state association and AAHomecare. Listen to them and allow them to speak for you! “Your dues are essential to providing for the day-to-day costs to run the associations. More importantly, however, is your involvement as a critical component of our success in the state and federal initiatives. This is especially true as we push to get the Market Pricing Program (MPP) passed. We have gotten the most support ever from Congress regarding MPP, and they are very concerned about the flawed competitive bid program. Please listen, and get on board. I hope to see you in Las Vegas at Medtrade Spring. In Melbourne, Florida, where I live, a fair estimate is that about 20% of the population is above 65 years old. I have a feeling this is true in many towns, and so I want every DME/HME provider to consider them as potential clients. Here in Melbourne, there is a most interesting service available to elders. It is called “One Senior Place.” Our family physician suggested we stop by to see what they do. He figured since we were both octogenarians it would be good to visit - It certainly was. I am just going to mention some of the many things they make available. I am sure there are similar programs throughout the country, and I suggest all our readers visit them. They provided us with a directory listing of all the services that a senior might need. Adult Day Care, Alzheimer’s and Dementia Support, Insurance, Hospice, Pharmacies, Emergency Response, Home Care, Physicians, Rehab, Transportation and more. They offer talks for seniors and family caregivers. They can give you the names of the Independent and Assisted Living homes in the community. The proper way of addressing a senior citizen is something every employee should be aware of. Always use of a title like "Mr." or "Mrs." Smith. It can be offensive to some to be addressed by their first name. Have a few seats conveniently available for those who wish to rest awhile. Be sure all displays are identified; every item must be price marked, and the showroom should be brightly lit. Allow them to browse, and try not to sound like a TV sales person. Always keep in mind that this generation of senior citizens has many disposable dollars. They look for comfort items. See all if this at the vendor displays at Medtrade Spring, just a few weeks away. As you make the rounds, be aware of all OTC cash sale items - Make your cash registers sing when you return! Enjoy! If you have not yet registered for Medtrade Spring, please use the promotional code SHELLY to get a Free Expo Pass! Click here to register. Medtrade Spring – In just a brief few days the showroom floor will be opening. Will you be there? It is not too late! Medtrade Spring, with all the exhibitors, opens Tuesday, March 11. You will have two full days to visit with the vendors and attend the seminars. However, if you can arrange to arrive a day earlier, you will also be able to participate in the Pre-show Workshops and Seminars (March 10). One extra day, that is all, and what you will gain is vital. I have spoken to many DME/HME dealers about the value of these “Pre-show” classes. The enthusiasm for these can never be fully appreciated. Make every effort to include this bonus day, because the ROI will be phenomenal! The Conference Sessions run from 8:00 AM until 5:00 PM Tuesday and Wednesday (March 11-12). Just about every problem the average DME dealer must contend with will be discussed. “Sales and Marketing” is always popular. So are the “Legislative and Regulatory”, “Medicare Updates”, Competitive Bidding”. “Audits”, Reimbursement”, “Sleep, Oxygen, & Respiratory”, "Rehab" seminars, just to mention a few. I believe that answers to any question or problem you have will be reviewed and answered. If you and your associates come just for these, the trip to Las Vegas has been worth the investment. But this represents only a small part of Medtrade Spring. You have to sit in on the Washington Update. This year it is critical and Tom Ryan will outline what is happening. 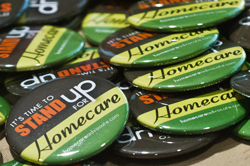 Be sure not to miss the Stand Up for Homecare Reception sponsored by AAHomecare! Click here to register now. As you travel through the showroom to see all the exhibits and vendors make it a point to spend time at both the Advocacy and New Product Pavilions. There is so much to see and do at Medtrade Spring this year. If possible, bring with you as many members of your staff to learn and help your company grow. As a team, they will find the tools and the path to follow. Only at Medtrade will you will meet the experts who are there to help your company survive. Having attended every Medtrade, I tell you this year you have to be there. Make the investment and attend, because it will help you stay solvent and continue to expand. I look forward to seeing you in Las Vegas. I will be walking the floor so please stop me when you see me and say hello! I read a fascinating article about how the average American is “growing older” in a magazine while waiting for my dentist to see me. What I enjoyed was the positive message of the author. Yes, Thelma and I are both octogenarians and that is why I am sending this blog. Senior citizens, particularly those in their eighties and nineties, are very important and must be treated as your most important customers. Where Thelma and I live in Florida, it appears that the number of these senior citizens is growing. We attended a revival of “Ain’t Misbehaving” and it appeared that the average age of the attendee was well over 65. The theatre had a sold out sign on the door. What a thrill it was to be part if this audience. If you could see the large number of walkers, scooters and wheelchairs stacked up, you too, would have been thrilled. Then, at the Cocoa Village Playhouse, we saw a performance of “The Music Man” and a similar number of elderly people attended another sold out show. Senior citizens do not only sit in front of their TV or computer! The senior citizens today seek every opportunity to attend a performance, whether it is a play, an orchestra, chamber music, or dance. Most of my peers have sufficient discretionary dollars and want to spend them for comfort items and entertainment. A local dealer holds a special “senior citizen” open house periodically in his showroom. He has made arrangements with nurses, PTs, OTs, local physicians and dietitians who speak about what senior citizens can do to protect themselves and stay comfortable. He invites his vendors to demonstrate their comfort items. This has been a most successful program. The thanks and new business just keeps growing for him. So treat the growing older community with great care and courtesy and become a gathering place for them to meet! Cater to them! When I spoke to a DME dealer the other day, he complained there was no real Industry Show he can attend. He told me the pharmacists (his DME is associated with a pharmacy) hold a great big annual show, as do physicians and other professionals. Every year he attends the NCPA/NARD meetings. He told me it is always in another major city and he gets to see the country that way. For one of the few times in my life I was hesitant to give an answer but then after a few moments it dawned on me. I asked him a simple question: “Is attending the NCPA meeting an excuse for a little extra vacation?” He admitted that was the truth and the cost can be absorbed as a “business” expense. Since I have been lucky to attend all of our shows (called Medtrade) for 30 plus years, I can state unequivocally that there are not many conventions, exhibits, or other meetings that can match what Medtrade provides. The big advantage by holding it normally at the same location enables dealers and providers to develop relationships. It becomes very convenient for them to plan well in advance. In that fashion, they can arrange to bring many staff members. By reviewing the list of speakers and seminars, plans can be made to attend all the appropriate ones and earn the maximum benefits of the DME/HME exclusive industry exhibition. I find it comforting to know about the many activities in which we all can participate. You may be away from your business for a few days, but when you will return, you will bring with you new ideas and knowledge; this becomes the best ROI possible. My evenings at the Medtrade are the most enjoyable. I attend as many extra-curricular events I can. All of these are critical because that is where you meet your peers. There are no other conventions where you will have the opportunity to garner as much as Medtrade offers. I look forward to greeting many old friends and finding many new ones. Please stop me on the floor to say “hello.” I will be there and your greeting this cantankerous old curmudgeon in his 87th year will make him (me) very happy. If you have not yet registered, do so now with code SHELLY to get a Free Expo Pass. Click here to register for Medtrade Spring. March 11, 6:00 – 7:30 pm, at the Mandalay Bay Convention Center in Las Vegas during Medtrade Spring, sponsored by the American Association for Homecare, is the Stand Up For Homecare Reception. This is a most important meeting to attend. Yes, I said “most important” because the funds raised there are used to protect every DME/HME provider! Each penny gathered reflects right back to every dealer. Let this one be the best fundraiser they ever had. This year, they are working to resolve problems, which still hang over all our heads like the Sword of Damocles. Our industry must be united! To do this effectively means you have to become a member of AAHomecare and your State DME Association. By yourselves, your voices will not be heard. There is nothing more effective than Vox Populi, the voice of the people. Join forces with AAHomecare and your state association. Ask your family and staff, as well as your clientele to work with you. The nurses, physicians, therapists, EMT squads, all want to see that your company will continue to provide supplies and care in your community. Yes we can do it! STAND UP FOR HOMECARE. Bring your check, bring your spouse, bring your team, and Thelma and I will see you there. We can meet the challenge and make all the goals that our industry seeks. Yes, “We can overcome.” Ralph Waldo Emerson said: ‘The reward of a thing well done is to do it.” We will do it in Las Vegas, won’t we? I have often sent blogs about building cash sales. Today the average DME/HME dealer must make every effort possible to maintain and increase over the counter cash sales. The ability to depend on third-party business is no longer practicable. I received a phone call from a dealer in Illinois who I met at Medtrade. 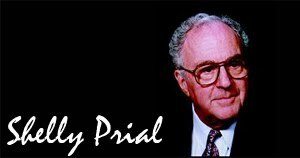 He told me when he heard Louis Feuer speak about the importance of cash sales, it gave him the impetus to make a dramatic change. He remodeled his showroom, put in more lights, built more shelves and was very proud of what he accomplished. It changed how his company expanded their business and profits! Now when we speak about cash sales, we must also include one additional step, that of monitoring and controlling cash flow. There has to be a means of tracking every sale. Things are a little different today since most transactions are paid by either a credit card or a personal check. Occasionally the customer may pay with cash. You have to know how every transaction is completed. Did the salesperson ring up the sale? Did the salesperson provide an invoice to the customer? Both these steps must be consolidated into one. Even more important is to know which segments create more OTC cash sales. This information will guide you and are the tools necessary to continue to expand. I have been told cash sales often will be considerably larger than those from third parties. This is the goal of every DME/HME dealer, to retain Medicare, while expanding walk-in business. The dealers who cater to family caregivers develop another market. At the same time they recognize that the bulk of senior citizens have the discretional dollars to purchase comfort items. This brings me back to the days of “show and sell”. This year at the Medtrade Spring Exhibition (March 10 - March 12, 2014) in Las Vegas, the vendors will offer you many new opportunities. Look at each and think about your market, your customers, their family caregivers and then you can make smart decisions. If you still need to register for Medtrade Spring, use promotional code SHELLY when you register to get a complimentary Expo Pass. See you at the show! I had lunch the other afternoon with a friend who is a DME dealer. It was delightful and I discovered I was wrong when I wrote the blog “Nothing Changes”, I listened to him describing the various problems affecting every DME/HME dealer and then how he copes with them. I want you to know that there are answers. Perhaps by all of us taking a positive view, many of these problems can be resolved. This young man is a true entrepreneur in every sense of the word. His DME company is very professional and they designed their showroom to be most attractive. This he stated is what customers want to see when they enter. It gives the customer the satisfaction that they found the proper source for their supplies. Brightly lit, the show room is displayed so that no one will have any problems finding what they are looking for. His staff is polite and well-trained. They reflect everything customers would like to receive when they go shopping. Perhaps his most important idea was that he does not stand alone. His company is very active and belongs to both their state DME Association and AAHomecare. He attends all meetings and belongs to a buying group. He said that attendance at Medtrade is the most valuable place to plan for the future. I am reporting this because if every DME/HME dealer did the same, we would already have gotten HR1717 out to the floor of Congress and passed. Positive thoughts lead to positive results. The director who heads up this young man’s state association is another leader in getting “positive” results for their members. The fabulous people who head up the state DME Associations bless our industry. How fortunate we are to have located so many positive hard working people. Tom Ryan, president of AAHomecare, is doing everything possible that can be done to get positive results. He will be holding a meeting in Las Vegas at Medtrade Spring with the State DME Associations to further coordinate all efforts. My message today reflects what must be done. If you are not a dues paying member of both AAHomecare and your state DME association, make the positive decision to join ASAP to work with them! They are there for you.